It was with deep sadness that we learned of the passing of a most loved and respected Ikey old boy, Dr Graham Desmond Ducasse (1974 – 1977), on 26 March 2018 after a brave battle with cancer. We pass on our heartfelt condolences to Sandi, Michael, Robyn, Peter, David and Dr Ducasse’s extended family. Graham was a school prefect at Hilton College, where he received prizes for Biology and Physical Education; played Rugby for the First XV; was a member of the Afrikaans Debating Society Committee; and the President of the Scientific Society. 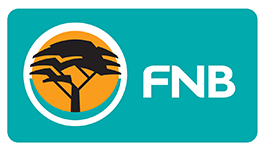 He later became Chairman of the Pietermaritzburg and Inland Natal Science Society of South Africa, and also served as the Secretary of the Natural History Society. 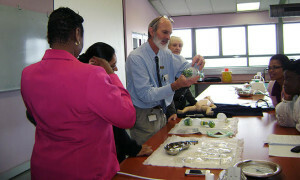 Graham’s passion for Science and Biology brought him to the University of Cape Town, where he studied between 1974 and 1981, reading for a BSc degree in Zoology and Physics, followed by an MBChB. He later specialised in Paediatrics and during the course of his career became a specialist in neonatal medicine. Graham spent the past 16 years as Principal Specialist Neonatologist and Head of the Clinical Unit, NICU at Grey’s Hospital in Pietermaritzburg which is affiliated to the University of KwaZulu-Natal. He facilitated the Neonatal Resuscitation Module as part of a nationally standardised programme known as Essential Steps in Managing Obstetric Emergencies (ESMOE). Graham co-authored several research articles and is cited almost 30 times in related research publications. Graham was also the doctor and deputy leader of one of the South African Antarctic expeditions during the 1980s. Graham was a great team man and always gave 100%. He was the only player to not fall for the famous HO dummy. In fact, he simply tackled HO without the ball! Graham, our helter skelter 100% energetic all passion “Baardman”, what a wonderful team man. I played against him in many practices and ultimately took his place in the 1st XV. As you say he boxed above his weight and when he ran into you there were arms, legs and body all hitting you at the same time. 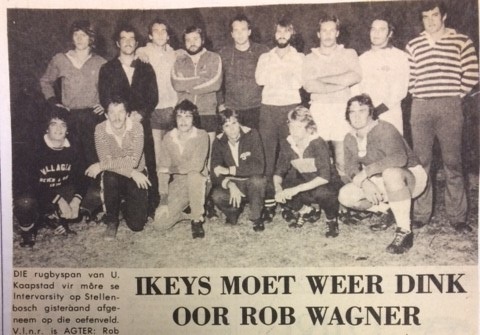 Very sad news indeed; especially since we were talking about his broken collar bone at Oranjemund just the other night with Gus. 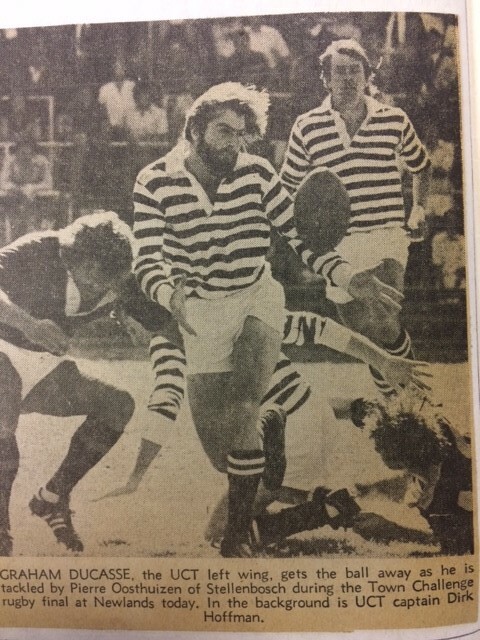 I won’t forget him – firstly he passed the ball to me in our game for Gus’s 2nd’s in 76 against Bellville and I scored the best try of my entire career; secondly Strydom always referred to him as ‘daai Baard’. As Rob said, a guy who gave it everything and a great teammate. . I recall especially his furious arm and elbow movements when caught with the ball and still standing represented a danger to the tackler and more so, to the supportive varsity players. And when in full flight, his enviable long hair flowing behind him… In his other life as a paediatrician he made a significant and progressive impact on child health in KZN. This is very sad news indeed. 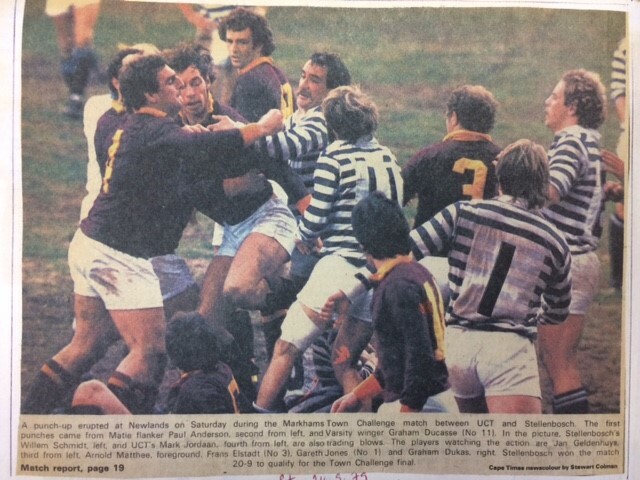 I remember Graham’s tenacity as a rugby player and of course, the on-field danger that he presented to friend and foe alike! He was a great team man and a true Ikey warrior who always punched well above his weight. I’m sure that he will be sorely missed by a wide circle of friends, professional acquaintances and family. My abiding memory of him is of a great guy who epitomised the spirit of camaraderie that was the hallmark of our time at UCT.